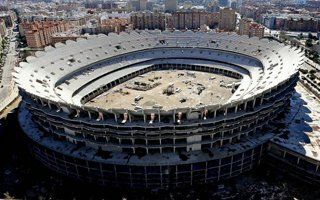 Spain: Valencia announce construction restart! Launched in 2006, construction of Nou Mestalla was abandoned in March 2009, when only the primary concrete structure of future stands was delivered. Further works are yet to be relaunched. After several different indications of what might happen to the delayed project, today's one is very brief. That said, it contains the most important piece of news: it's going forward! The statement refers to STA, a set of guidelines for major projects in the Valencia region, which was adopted in 2012. Nou Mestalla will have a new, significantly amended design, which needs to be in line with all current regulations. As of now we have no detailed information about its architecture or even the eventual capacity. What we do have is deadline for construction to finish: May 2021. 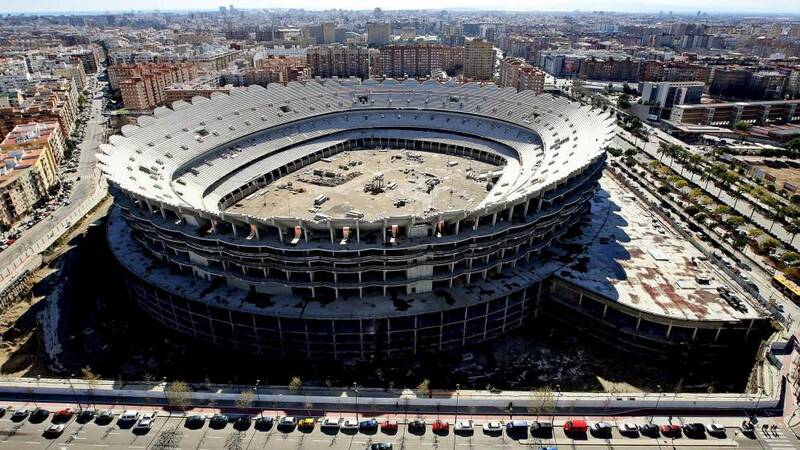 This means that from 2021/22 La Liga Valencia should be playing at the new arena. Sadly, this means end of the road for current Estadio Mestalla. The legendary building is expected to be demolished in 2023.